How Good Were The Good Ole Days? R.J. Rushdoony: 00:00 How good were the good old days? This is R.J Rushdoony, with a report on our threatened freedom. We hear more than a little talk about urban pollution these days. The assumption in these such discussions is that suddenly, with the automobile, our good, clean air was polluted. R.J. Rushdoony: 00:21 Now, granted our air needs cleaning up, but was it clean before? The horse, in the days before the automobile, was a remarkable polluter. In 1907, for example, Milwaukee had 350,000 people, horses provided transportation, and they daily left 133 tons of manure on the streets. R.J. Rushdoony: 00:49 Horses brought food into the city, and these horses left their calling cards everywhere. In the summer the carriage wheels quickly turned the manure into dust, which floated in the air and into houses. If it rained when your wash was on the line the manure dust in the air was drenched into your wash and ruined it. In the winter snows and rain the manure was turned into a splashing slush, which sometimes moved good people to profanity. R.J. Rushdoony: 01:21 In those days a gentlemen walked on the street side of the sidewalk in order to protect his lady from the splash of the manure slush. The manure carried disease, and a breeze would waft tetanus and other spores everywhere. Those were the good old days of epidemics of cholera, dysentery, infant diarrhea, smallpox, yellow fever and typhoid. R.J. Rushdoony: 01:47 The automobile does some polluting, but it helped eliminate these deadly pollutions. Of course the manure bred flies by the billions, and the sparrows multiplied into a national pest, feeding on manure. In those days it was difficult to enjoy a shade tree on a hot summer day, because of the sparrow droppings. This is not all, horses were mistreated and regularly dropped dead in the streets. R.J. Rushdoony: 02:19 In 1880, for example, New York had 15,000 dead horses left on the streets. As late as 1912 Chicago had 10,000 dead horses in that year. There were no license plates on the horses, and so the owners could not be traced. Before the dead horses could be removed the neighborhood dogs feasted on them, and dragged bits and pieces into alleyways and backyards. In other words the good old days were very polluted, and to put it plainly more than a little stinky. R.J. Rushdoony: 02:55 Now I am all for good, clean air, but don’t romanticize the past. And don’t overreact to the present. We do need laws to protect ourselves from pollution, but perfection does not come overnight. Moreover while technology is sometime started offender, it has more often than not been an advantage in cleaning up the air and environment. Used wisely it can further the work of conservation. R.J. Rushdoony: 03:29 In brief, if we have an unrealistic view of the past we have an unrealistic view of the present. We then indulge in name calling, not in problem solving. Instead of furthering progress and freedom we hamper it. 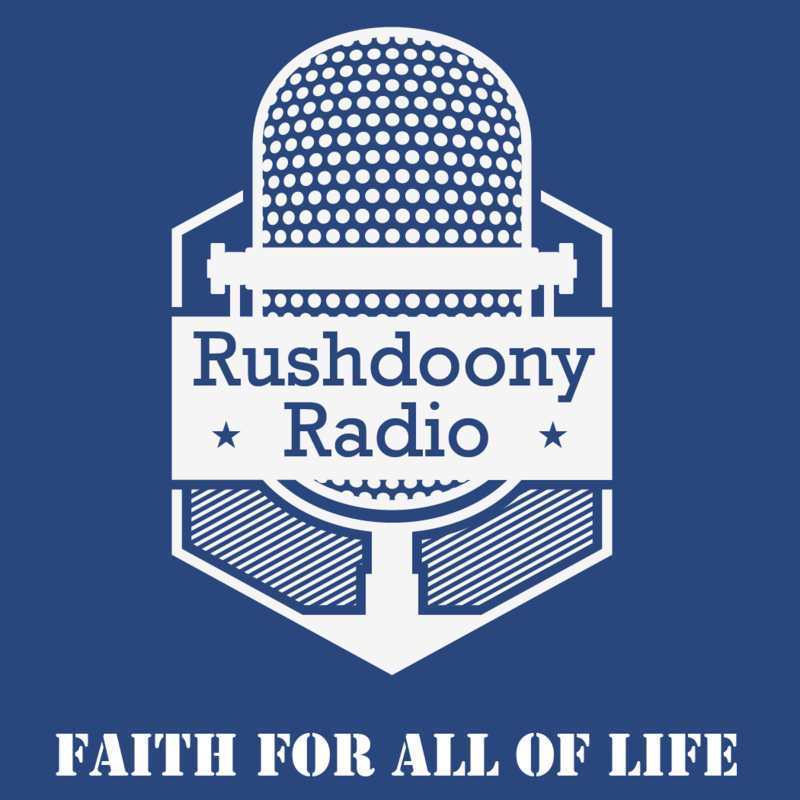 R.J. Rushdoony: 03:45 This has been R.J Rushdoony with a report on our threatened freedom.